In January, I made a list of "must reads" for 2017 along with Carrie Gelson of There's a Book for That and a community of other bloggers who have also made #MustReadin2017 lists. Reading over the lists that other bloggers gave me lots of titles to add to my own ever-growing to-be-read list. I am looking forward to reading about the progress others have made on their lists. I have read just over half of the fifteen books on my must read list of middle grade reads. A Boy Called Bat by Elana K. Arnold has been on of my favorite books this year. You can read more of my thoughts about it here. I also really enjoyed Moon Shadow by Erin Downing. The book was an interesting blend of reality and fantasy with a great message. I'd also put Short by Holly Goldberg Sloan at the top of my list because I found it to be an interesting and meaningful story. I also read Catstronauts: Mission Moon by Drew Brockington. This is a fun graphic novel that is becoming a student favorite. The other books I have read from my list include: The Gumazing Gum Girl! by Rhode Montijo, The House of Months and Years by Emma Trevayne, One Amazing Elephant by Linda Oatman High, and The Unbeatable Squirrel Girl: Squirrel Meets World by Shannon and Dean Hale. I have written about all of these books throughout my weekly It's Monday! What Are You Reading? posts. I have read two of the four professional books on my list. 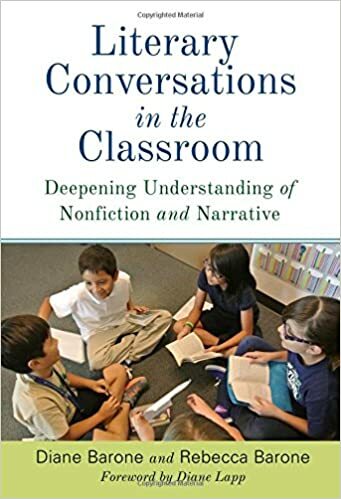 I read Literacy Conversations in the Classroom: Deepening Understanding of Nonfiction and Narrative by Diane Barone and Rebecca Barone. The book has some useful ideas about engaging students in meaningful talk about their reading. 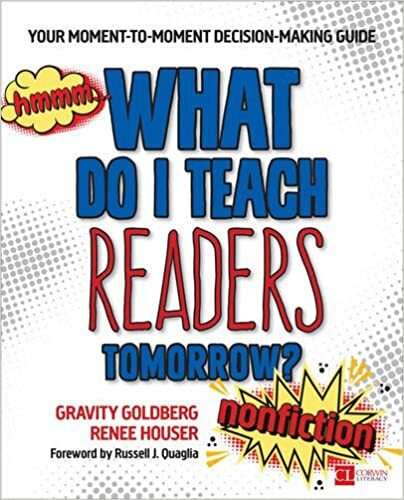 I also read What Do I Teach Readers Tomorrow? Nonfiction, Grades 3-8: Your Moment-to-Moment Decision-Making Guide by Gravity Goldberg and Renee Houser. This is a fantastic professional read with many ideas and lessons for teaching nonfiction reading. The authors also provide useful insight into how they make decisions about what to teach students next. I am looking forward to reading the companion title that focuses on fiction reading. I still have seven middle grade books on my list to read. Many of these have not yet been published so I am eagerly anticipating reading them. I have a copy of Jake the Fake Keeps it Real by Craig Robinsion so this will probably be part of my reading stack next week. I have two professional books on my list to read. I have a copy of Language at the Speed of Sight: How We Read, Why So Many Can't, and What Can Be Done About It by Mark Seidenberg, but have not yet picked it up. In a Voxer book group, I recently read and discussed David Sousa's How the Brain Learns to Read so I would like to read learn more about the brain and reading which I think I will in Seidenberg's book. Vicki Vinton's Dynamic Teaching for Deeper Reading: Shifting to a Problem-Based Approach because is also on my to-be-read list. I attended the Massachusetts Reading Association Conference (with many wonderful speakers such as Donalyn Miller, Mr. Schu, Steven Layne, and Nancie Atwell) this past week and I got a coy there so I will be getting to it soon. Some wonderful reading I can't wait to read A Boy Called Bat. Sounds like you had an inspiring conference! It was a great conference! You will love A Boy Called Bat. Bat is such a unique and wonderful character! The conference sounds great. I don't think I'll be going anymore since I'm retired, but I remember how inspiring it was to be at one and see/meet those wonderful educators. As for your list, I think I'd better find A Boy Called Bat soon. So many are saying great things about it. And Short too is one I want to read. Thanks, Lisa! Definitely find A Boy Called Bat. It is a very quick read and you'll love it! I just retweeted some of your tweets from the conference. Such good stuff! I love to be able to share with my pre-service teachers who follow me on Twitter. I just requested that my library order A Boy Called Bat. I can't wait to read it--just hope I can be patient enough to wait til it comes in! 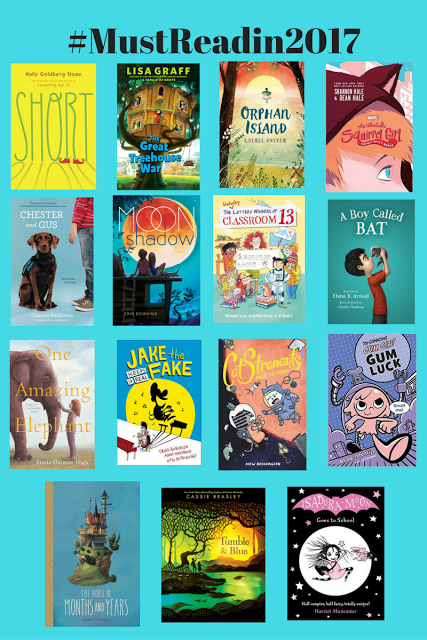 I am going to have to order Catstronauts--that's the one I chose from your list to go on my list and GNs circulate so widely in my little lending library. I also have a lot of cat-obsessed students! Thanks for retweeting! It was an insightful and inspiring conference. You will love Bat! Your cat-obsessed students should love Catstronauts. Some of these are on my list Lisa. I keep hearing really good things about A Boy Called Bat, so I'm looking forward to it. Moon Shadow is also on my list. I also adored Short. Such a powerful read.